With dedicated staff available 24 hours a day, you can always receive the help and advice you need. With Mashfords Funeral Service, you are guided through the whole process when arranging a funeral. By organising a prepaid funeral plan, no matter how much services go up, you’ll never be asked to any more than what was agreed. Making arrangements like this offer you complete peace of mind. CONTACT our funeral home in Cleethorpes, North East Lincolnshire, to learn more about the funeral service we offer. Mashfords Funeral Service is a long-established, truly independent, family business based in Norfolk Lane, Cleethorpes. The company is owned and managed by Mrs. Joyce R. Schofield in partnership with her sister Miss C.A. Westwood, who took over the running of the business upon the death of their father in 1986. Recognised across North East Lincolnshire, our funeral home is proud to serve the local community and provides a fully comprehensive funeral service. A wide choice of options are available to meet the wide requirements of all faiths, denominations, and ethnic communities, which can be tailored to the needs, wishes, and requirements of each family. As your local, independent funeral directors, we endeavour to help, advise, and offer guidance in all aspects of arranging a funeral. Fully dedicated and highly experienced, our team are available 24 hours a day, 365 days a year, and are committed to delivering the highest degree of professionalism in a friendly and approachable manner. As members of the NAFD (National Association of Funeral Directors), we comply with their code of practice that sets out the high levels of service that are expected. We also provide Golden Charter Prepaid Funeral Plans. Established since 1973, the business has undergone many changes over the years, always with the aim and intention of providing the best possible service and care. Office hours are from 8:30 a.m. to 5:00 p.m., Monday to Friday, however outside these hours, personal contact can be made with a member of staff at all times. 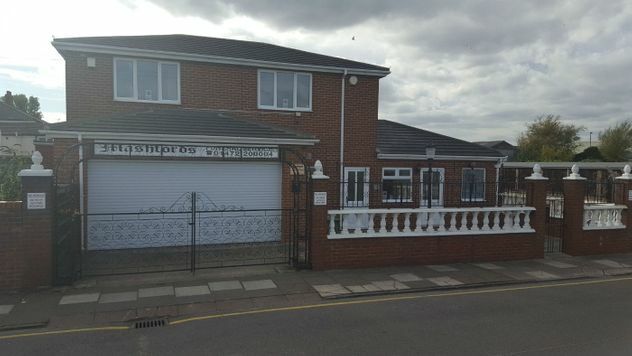 Mashfords Funeral Service is situated in Norfolk Lane, Cleethorpes, just off Poplar Road in the quieter area of the town. Parking facilities are freely available. The chapel of rest and reception area, situated on the ground floor, allow for private visits for families to pay their last respects. Service Areas: Grimsby, Cleethorpes and surrounding areas.